Why is it that some drawings show that cube thingy and other drawings dont? 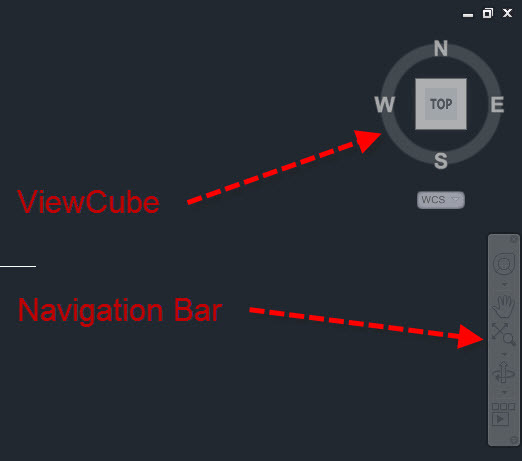 Well here is how to control both the “cube thingy” (ViewCube) and the Navigation Bar (NB) that sits just below the View Cube (VC). 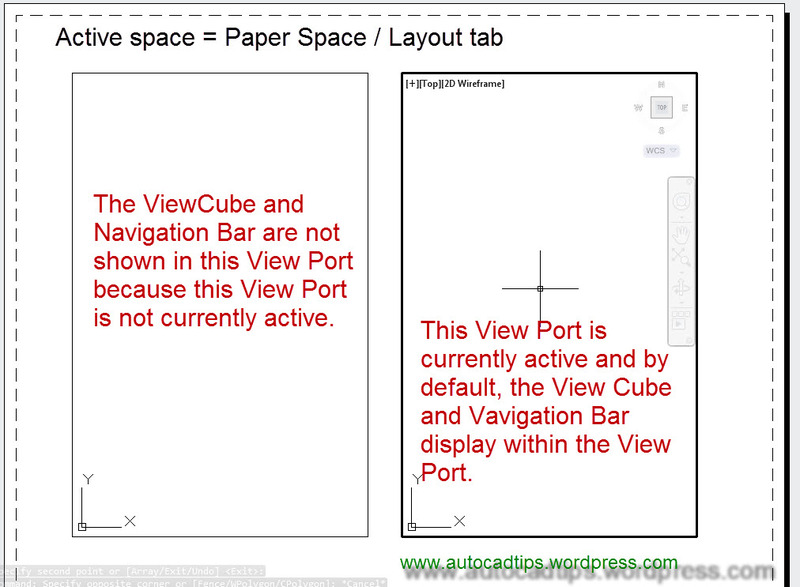 The Navigation Bar and ViewCube also show up when a viewport is activated (double-clicked) in Paper Space. 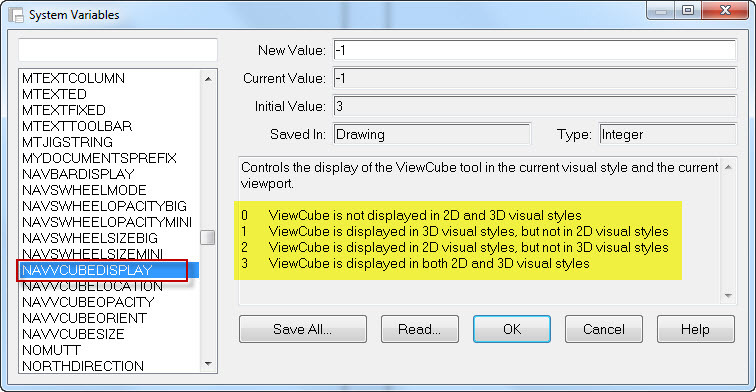 A possible configuration is to have the ViewCube be available in the Navigation Bar. This happens by default when you turn off the ViewCube. Notice in the picture below that the top button in the Navigation Bar is a toggle that quickly turns on the ViewCube. I don’t know how my current value is a negative one. Please notice however that this system variable is saved in the drawing. That is why it might be displayed in one drawing and not displayed in another. 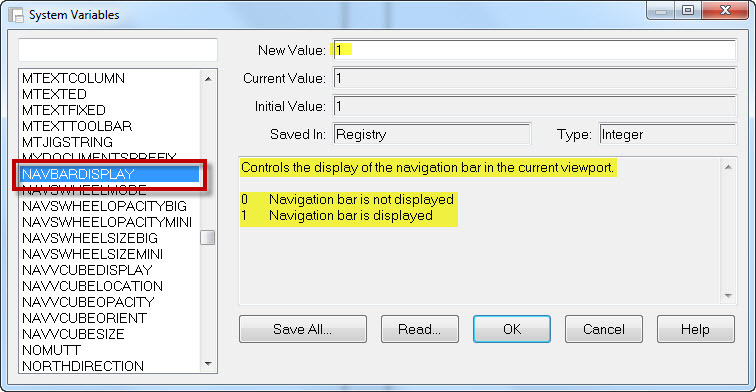 Notice that this system variable is saved in your computer’s registry and will display the same (on or off) in any drawing you open. This entry was posted in BASICS, Customization, Settling In, TIPS, Viewports. Bookmark the permalink. I have an issue with my view cube showing upside down (instead of showing in TOP it is showing in Bottom view), but when I bring in survey information or reference it to other files it is correct in how it should be showing. I just recently switched over to Civil 3D 2013 and am not sure if I am missing a hidden setting. I’ve noticed that the Nav Bar randomly disappears while I’m drawing in model space. The fix I have found is to switch to a layout, then back to model space. The reason your “NAVVCUBEDISPLAY” was set to “-1” was because you were in Paper space. 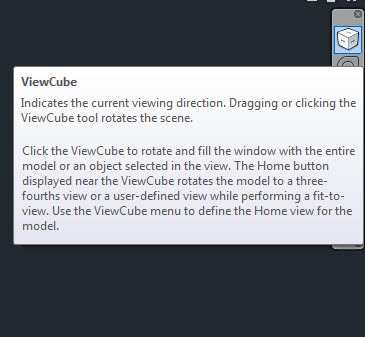 I have an issue that my viewcube not showing in AutoCAD LT 2016, please send me the tips of the same.